I recently learned that we were amoung a few of the most honored wedding professionals in Houston to be selected and honored by Brides Magazine. Congratulations to all those who were honored. 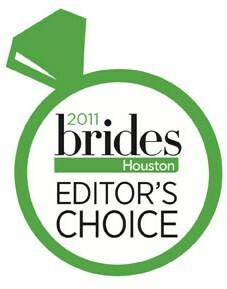 In the Fall/Winter 2011 issue of Brides Houston, we announced the winners of our first-ever Editor’s Choice Awards. Soireebliss! Event couldn’t have achieved as much as we have over the past four years of business without an amazing team of women and the wonderful clients who entrust their wedding to us. Words can not express the great amount appreciation, honor and gratitude!! !